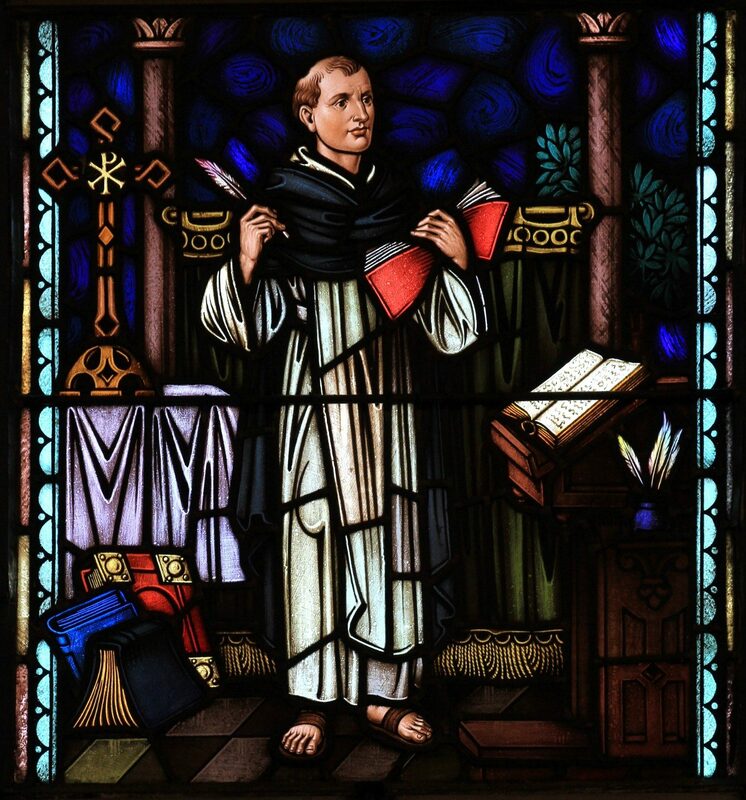 Of all the early Dominican writers, Humbert of Romans (1200 – 1277), the fifth master general of the Order, most clearly recapitulated the Dominican ideal. 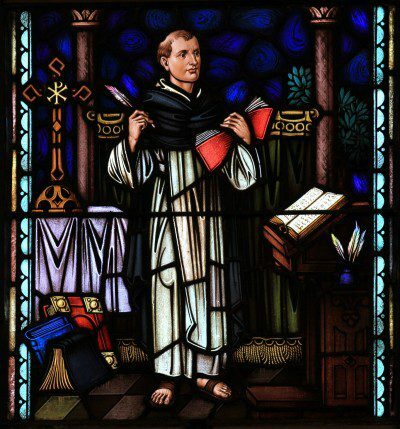 His major concern was to help his brothers understand their vocation as preachers and to clarify Dominican law and Dominican life. His profound writings on the “grace of preaching” stress the requirements of enthusiasm, discipline, knowledge, and compassion and emphasize the nobility of the preacher’s calling. Humbert codified the Dominican liturgy, wrote commentaries on the Dominican Constitutions and rule, and cast the Constitutions in their present format. His most important work is a lengthy treatise of the founding of the Dominican Order and a detailed description of Dominican offices. In his left hand Humbert holds a master copy of the Dominican Constitutions, which he always carried so that when he visited the various houses a copy could be made.